A sofa can stick in your mind for a long time after you sit on it. Think about a person you haven't seen in a while, you probably can't remember their eye colour but I bet you can recall vaguely what their sofa looks like- kind of strange, yes. This may have some deep psychological contention to do with the feeling of personal safety, but what ever! 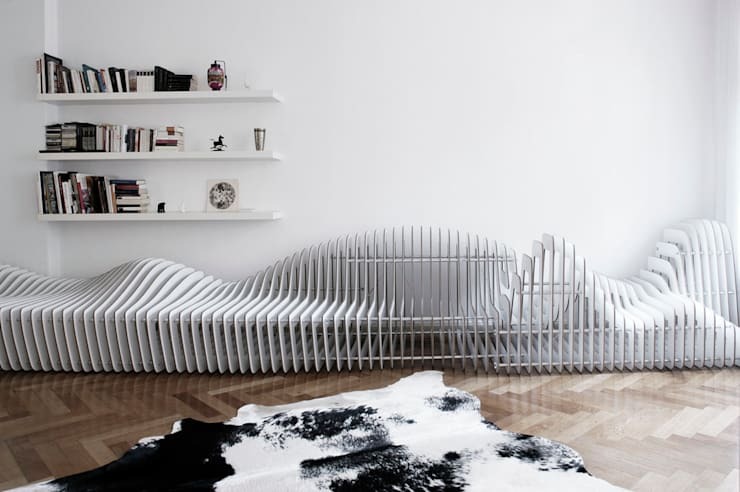 The point is that your sofa can stick in people's minds for a long time after they come to visit you; so better have one that leaves a positive impression on them! Have no fear though, our professionals know how to present a striking sofa- take a look at some of these sofas that are sure to stick in your memory. Look at how much this sofa suite jumps out at you; it may not be to everyone's taste, but it is, nonetheless, impressive and, moreover, memorable. 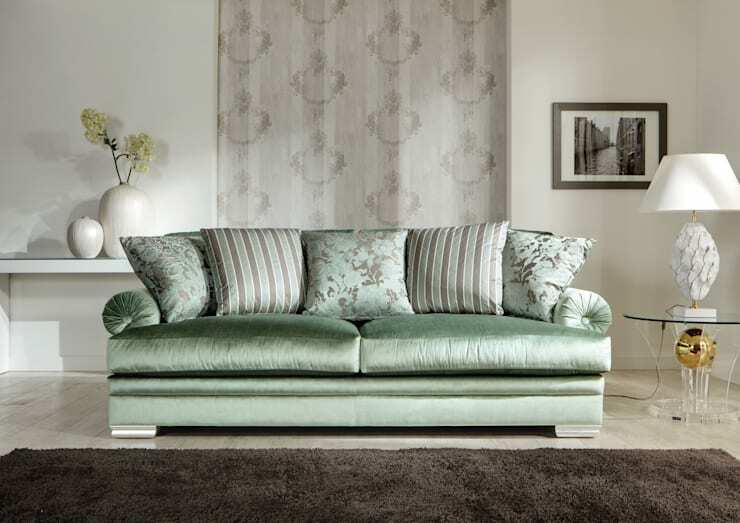 Using a very non-invasive colouring scheme will help your sofa present itself- instead of you having to work around it. A colourful, comfortable sofa, a warm fire, a good book and some wine; you won't be forgetting this sofa any time soon. The off-white (used to paint this room)'s slight green pigment is being reflected by all that natural white light hitting the sofa. The metamers in the couch and wall are also emphasised greatly by the dark of the rug as, otherwise, any natural light hitting the floor would help to counter that effect- as it is, little direct light is hitting the wood. This can completely transform how your room looks and help your sofa become the centre piece- not the TV! A deep red in a slightly pink tinged room will have a similar effect and make that sofa stand out a mile. Give it a test, what do you have to lose? OK, this isn't technically a sofa- but I bet you're interested in it aren't you. The 'Sitscape' from Hackenbroich Architekten is a holistic product seating that aims to accommodate every comfort mood: like a normal sofa, a chaise lounge, flat out and smooth undulations for all your possible chiropractic activities. Yes, it looks uncomfortable, however the materiel used to make it is much more soft that it appears and actually relaxes somewhat when pressure is applied upon it. This product is custom made and can come in a variety of shapes and designs. For a full view of the project click… … . here. 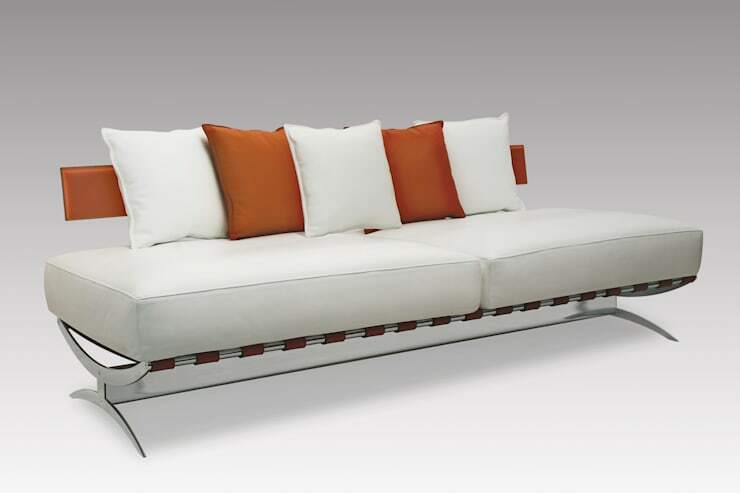 Reminiscent of a 50's diner sofa but brought into the modern age with smooth structural curves in the frame and alternating colour design, this sofa is sure to catch anyone's eye. 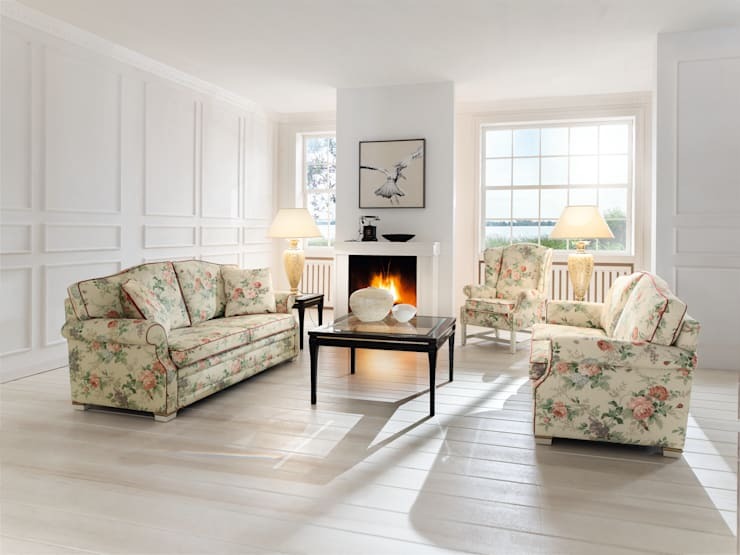 Got any sofas that you like from our listings? Let us know in the comments.